 GPPH & Associates select the best team of people with the skills required to the particular job. These people include, but are not limited to, the following individual consultants. Brian has more than 30 years’ experience in coal and metals operations across Australia and Indonesia in many different mining environments. Brian has worked as a consultant for 9 of the last 12 years. Brian has more than 30 years’ experience in coal and metals operations across Australia and Indonesia in many different mining environments. Within this experience he has held a wide range of roles with a strong management and technical background. He has been responsible for managing mining engineering operations on sites including PT KPC, Mount Thorley-Warkworth, and HI’s Channar operations. His technical capabilities have been developed through his involvement in the development and management of mining contracts for large scale operations, the development of operational and logistical expansions of operations and strategic planning for development and successful operations. Brian has worked as a consultant for 9 of the last 12 years. He has developed capabilities of Project Directorship and Project Management which have been used in Conceptual, Pre-Feasibility, Feasibility Studies and Technical Reviews associated with mine developments, Mergers and Acquisitions and Due Diligence evaluations. He is a ‘Competent Person’ as defined in the JORC Code and has experience as an ‘Independent Technical Expert’, having prepared or been participant in many Due Diligence and IPO reports of projects in Australian and Indonesian coal and metals operations. Brian has been a member of the AusIMM for 34 years. Brian has presented a number of papers at seminars and coal mining conferences aimed at improving industry practice. Geoff has 40 years' experience in the New South Wales and Queensland coal industries with a background in open cut and underground operations, new mine development and the preparation of feasibility studies. Geoff has 40 years' experience in the New South Wales and Queensland coal industries with a background in open cut and underground operations, new mine development and the preparation of feasibility studies. Geoff has worked as a consultant for the last 15 years. He has developed particular skills in the areas of dragline operations, the application of mining technologies, mineral economics and finance, software development, strategic planning and project management. 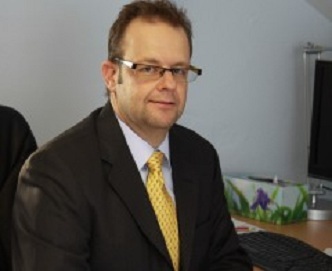 Geoff has managed and performed major feasibility and prefeasibility studies, strategic studies at both the corporate and business unit level, technical and due diligence reviews, financial studies and valuations, equipment comparisons and justifications, rehabilitation studies and short and long term planning. Geoff is also a Competent Person under the JORC Code. Dean has some 21 years experience in the coal mining industry in both underground and open cut. He has been working in the Australian coal industry since 1993 in various roles and in Mexico from 2008. Dean has some 21 years experience in the coal mining industry in both underground and open cut. He has been working in the Australian coal industry since 1993 in various rolls and in Mexico from 2008 as Chief Operating Officer in development of Palomas Mine for Alpha Prime Development Corp, China. Dean was responsible for exploration, business planning and mining operations. Dean has detailed operational, technical and financial knowledge of open cut and underground, bypass and washery coal operations. He has project managed the development of Palomas underground mine in Mexico. Working as manager Hunter Valley for Minarco-MineConsult, he has performed mining studies including conceptual, pre-feasibility and feasibility studies, project valuation and due diligence on various operations. Dean is a competent user of many mining software packages and is also a competent person under the JORC Code. Michael is an experienced Engineer with specialisations in software design, database design, simulation and graphics. 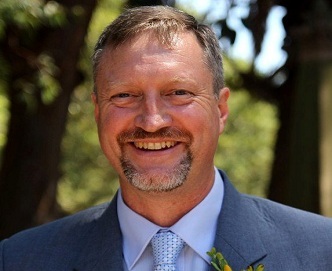 Michael is an experienced engineer with specialisations in mining engineering, mine design and software engineering. His software engineering experience covers software design, database design, data analysis, information retrieval, simulation and graphics. Michael has been involved in preparing mine designs, schedules, reserves and cost estimates for mining studies. These studies have included Drayton South (dragline open cut), Dartbrook (shovel/truck and crusher/conveyor open cut), Lake Lindsay (short term dragline design), and Yamala (open cut and underground longwall and pillar mining). His latest project has been the evaluation of a greenfields open cut mining operation including highwall mining technologies. Michael is a proficient MINEX user with acQuire database experience. He specialises in data analysis and information recovery and has developed custom Excel data extraction for laboratory reports. He is proficient in the use of the following programming languages Visual Basic, Java, C, C#, SQL, VHDL and Visual Basic for Applications. He has designed databases in Access, Oracle, MS-SQL and My SQL. James is a Mechanical Engineer (Honours) with a Masters in Mine Management and previous engineering experience in the energy sector. James is a Mechanical Engineer (Honours) with a Masters in Mine Management and previous engineering experience in the energy sector. James has been involved in completing several concept to feasibility level mining studies throughout the hunter valley, gaining medium-long term mine planning experience in the designing, reserving, scheduling, productivity analysis, equipment selection and costing stages of these studies. 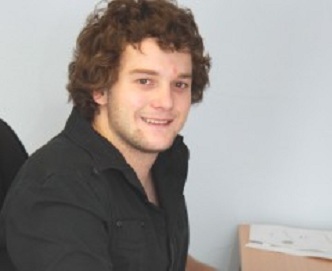 James has also assisted in the development/testing of in-house software packages and is a competent MINEX user. Rod has some 35 years industry experience and has been consulting to the coal industry for the last 5 years. He has held various positions as manager as well as being a director on a number of industry boards. Rod has some 35 years industry experience and has been consulting to the coal industry for the last 5 years. He has held various positions as manager as well as being a director on a number of industry boards. These include The Cooperative Research Centre for Coal in Sustainable Development, The Cooperative Research Centre for Black Coal Utilisation and Chairman Mount Thorley Coal Loading Limited. Rod has previously been Technical Marketing Manager, Product Manager and Safety Manager for Rio Tinto Coal (NSW) Pty Ltd, Manager Technical Services and Manager Projects for Novacoal Australia Pty Ltd and Manager Howick Coal Preparation Plant. As a consultant Rod has consulted on coal technical issues covering geology, exploration, sampling, analysis, mining processing and marketing. He has prepared guidelines for operations for a two stage coal preparation plant and prepared marketing information to effect a stronger position for clients. Greg has over 40 years experience in the Australian and international mining industry, with a particular focus on underground black coal mines. 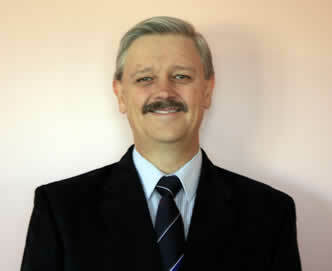 He has provided independent consultancy services to the mining industry since 1988. Greg has over 40 years experience in the Australian and international mining industry, with a particular focus on underground black coal mines. He has provided independent consultancy services to the mining industry since 1988. He was the project manager, then project consultant for the Mandalong Mine, a large underground longwall mine near Morisset in NSW. Greg has also conducted a major review of underground coal mines in Mexico for the World Bank. Most recent assignments have included mine valuations, due diligence assessments, project and strategic advice. Greg has also managed the preparation of development applications, environmental impact statements and bankable feasibility documents. John has over 35 years experience in the coal and metalliferous mining industry. He was previously Chief Geologist with BHP Billiton’s operations in the Lake Macquarie area and has been consulting to the mining industry on geological matters since 2000. John has over 35 years experience in the coal and metalliferous mining industry. He was previously Chief Geologist with BHP Billiton’s operations in the Lake Macquarie area and has been consulting to the mining industry on geological matters since 2000. In that time he has undertaken the development, review and audit of geological risk management plans, developed and administered R&D management systems, coordinated geoscience data for mine design projects and undertaken extensive due diligence assessments in many countries. John is Past Chairman of the Coalfield Geology Council of NSW and an inaugural member of ACARP Underground Research Sub-Committee. John is also a Competent Person under the JORC Code. Managing Director Strata Control Technology Group (SCT). SCT Group provides leading consulting and research service to the mining industries. SCT Group provides leading consulting and research service to the mining industries. SCT was established in 1989 and has established a reputation, both in Australia and internationally, for successfully delivering project services and innovative solutions that incorporate leading edge technology whilst being practical and effective. SCT specialises in providing practical solutions to mining geotechnical and strata control problems. The instrumentation and numerical analysis techniques developed by the group have led to significant advances in the understanding and design of both rock reinforcement systems and the behaviour of excavations in complex stress fields. SCT’s comprehensive understanding of strata behaviour, rock reinforcement, rock property and stress data, can provide design information for specific mining and strata control options for both existing and planned mining operations. The team boasts a blend of experience and expertise in the specialisations necessary for generating a detailed mine plan for Drayton South. Lynne is a geologist with more than 25 years experience, who has extensive experience in both the coal and metalliferous mining industries. Lynne has been consulting to the industry since 1986 initially as Senior Geologist with Maptek Pty Limited for over ten years, and then as a Senior Consulting Geologist. Her special area of expertise is in using computer applications for resource analysis and modelling, particularly the Vulcan software package. She has held lead roles in many diverse projects including the preparation of geological models for both coal and metals deposits, JORC resources and reserves estimation, Mining Feasibility studies, Mine Planning, Geological Data analysis and Database design. Lynne is a Competent Person under the JORC Code. Robert has over 24 four years experience in the environmental assessment of mining developments, extractive industries, industrial proposals and public infrastructure projects. David has over 38 years experience in the mining industry and his previous roles have included positions as Group Engineer for Coal and Allied and Chief Engineer for Coal Operations Australia. David has over 38 years experience in the mining industry and his previous roles have included positions as Group Engineer for Coal and Allied and Chief Engineer for Coal Operations Australia. He progressed from a "hands-on" mechanical fitter role to positions where he controlled the engineering management of a group of mines where he built world-class mine mechanical and electrical engineering teams. He has considerable knowledge and experience of all engineering aspects of mining equipment and systems, particularly in relation to longwall and bord-and-pillar systems. He has taken significant leaderships roles in the development of equipment and maintenance standards and was active in the formulation of new coal mining Regulations. He currently acts as ACARP Project Review Committee member and monitor. David has been consulting to the mining industry on engineering management and equipment matters since 2002 and has co-authored several papers on engineering aspects of his work. 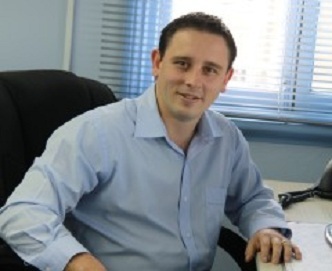 Shaun is a principal consulting engineer of Dench Mining Consultants and has 20 years experience in open cut coal and metaliferrous mining operations. Shaun is a principal consulting engineer of Dench Mining Consultants and has 20 years experience in open cut coal and metaliferrous mining operations. As a consultant he has performed strategic long term planning and financial evaluation. He has also been responsible for tender evaluation and supervision of a project team for mine planning. Shaun has a working knowledge of both MINEX and Mincom mine planning software.